I very happy with the art in this one. Very happy. I’ve been practicing drawing Houston, and actually drawn inspiration from Dave Kellett. I’ve never made a character with dots for eyes before (almost never anyways), so I had to do some research on how you make that work. 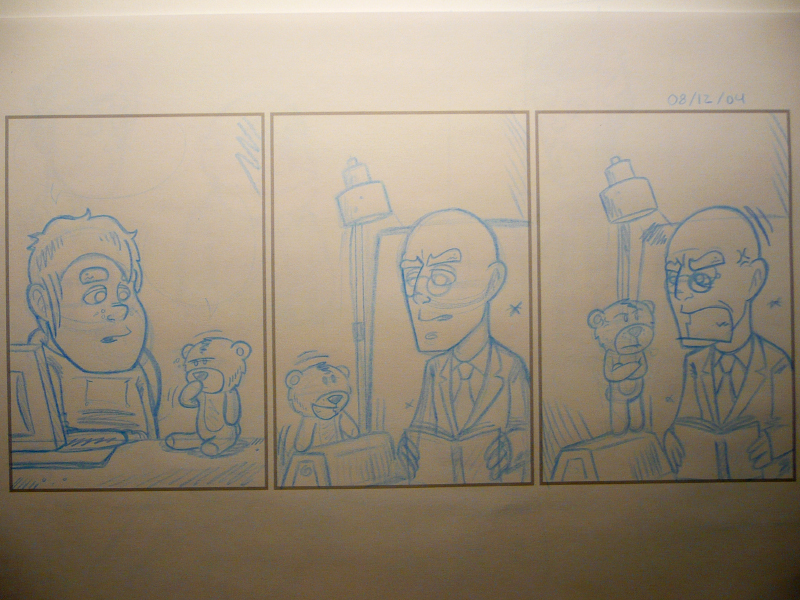 I’ve also been really inspired by the Norwegian cartoonist Frode Øverli, the creator of the comic strip “Pondus”. I used to love him when I was a little younger, and I remember why now. It would be funny if somebody stumbled this, digged it, or just whatever it. I’m hoping for that every time. This entry was posted on Friday, December 5th, 2008 at 10:53 am and is filed under Comic. You can follow any responses to this entry through the RSS 2.0 feed. Both comments and pings are currently closed. Dead or not, I bet she’s a demon in the sack! More good work Rasmus (btw “we got OFF to a bad start”). I love your strips and the comedy value in them! I don’t want it to appear like I am correcting you (hopefully being helpful rather than critical) – and I have to say that your written English leaves a lot of people using English as their first language in the shade.